As Leviticus wraps up – God begins to sum up the reasons for all of these detailed instructions and regulations for His people to follow. Not only do they point to a much bigger representation which will be fully recognized several thousand years later in Jesus – but they also provide the platform for God to bless His people. THAT is what He really wants to do in the end! God doesn’t change – and neither do His promises. But… as we read on we see a whole mess which can come about by choosing our own way. Beyond the calamity and destruction – we see a destroyed relationship with God Himself. Statements such as: “I will set my face against you” and “I will walk contrary to you” (AMP). Disobedience to God’s ways invites all sorts of misery! Yet, even after setting before His people the joyful opportunities that come with living their lives the way He instructs them – coupled with the warnings of the misery of life on their own direction – God’s wonderful gracious heart is revealed once again at the end of the chapter. God promises – even in His anger at His people’s rebellious ways – that He will remember the Promises He made to their ancestors and will bring them out of their deplorable situation – and restore them once again to the position of honor which He is currently offering them. Do you see Grace here? God knew they would rebel – He knew they would disobey Him and go after the very same things their neighbors were doing (which got them kicked out of the Land of Canaan in the first place!). 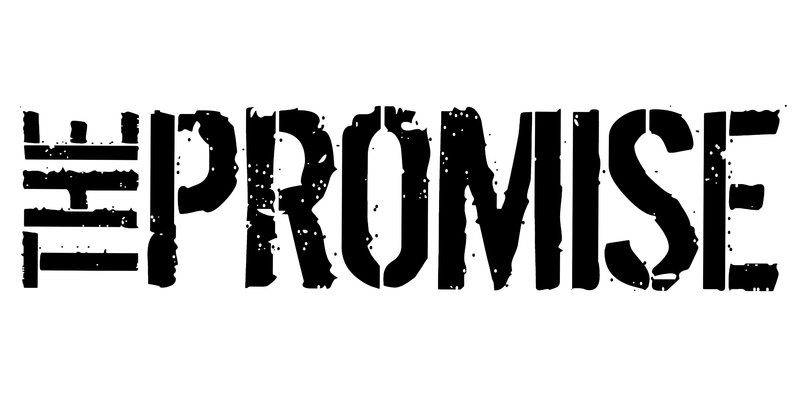 Yet – He still plans on remembering His promises and bringing them back. As we continue to work our way through the Word of God we will see these very statements come true. First in that God’s people WILL rebel and forget Him once things are going well for them. Second, the Israelites WILL experience all of the calamity that God warned them about due to their poor choices. (This will result in them being forcibly removed from this land and led into captivity by their enemies. And third, God WILL hear their cry for help and restore them once again to the Land of Canaan. As we have been reading the past few chapters of Leviticus – we have been given a glimpse into the various feasts which God set up into the annual calendar for His people to observe. There is so much meaning within these feast that it is difficult to miss it… Basically that God is trying to establish a NEW way of living for these ex-slaves He has rescued. This NEW way will not be like the way they are used to – so He needs to set up reminders throughout their entire year so that they don’t forget. Now it is important to remember that all of the Book of Leviticus – with it’s rules and regulations – are written to a specific people at a specific point in history in a specific location… all of them gathered at the base of Mt Sinai preparing to enter and take possession of this piece of land God was going to give them. The rules and laws were set up to teach them how to live a different way then their neighbors… and in this law God tells them to keep the sabbath rest. BUT WHAT IS THE BIGGER POINT FOR YOU AND I? The Hebrew word for ‘Sabbath’ is “to cease” and it is a way of life which reflects what God is like. In Gen 2 we are told that God created for 6 days – and then rested from His labor. Living any other way would be in opposition to the One who created us! God wants to teach His people (and us) very early on that our worth isn’t wrapped up in our own effort and what we accomplish… but IS wrapped up in Him and Him alone! MOST WORLD RELIGIONS FOCUS ON US DOING SOMETHING TO GET TO GOD – BUT THE BIBLE IS ABOUT GOD ALREADY DOING ALL OF THE WORK TO GET TO US! This is a serious lesson God wants us to learn. It was so important that He made it part of the initial commandments in Exodus 20 – and threatened to kill anyone who disobeyed it. In Psalm 95:10-11 – while speaking about the Israelites who disobeyed Him – He said “they shall not enter my rest”. In fact – over and over God attributes a relationship with Him as being a place of REST. Jesus continues this Leviticus language in Matt 11:28 – “Come to me, all you who are weary and burdened, and I will give you rest”. The writer of the book of Hebrews tells us that entering into a relationship with God means stopping trying to work your way IN – but instead accepting (and resting) in what He has already done for us! (Heb 4:1-11). Do you see the point of the message? The laws – rules – regulations of Leviticus were all designed by God to point to Jesus. Jesus can be found in every law – feast – regulation… even in the Sabbath. He IS our Sabbath REST. Jesus provides for us the opportunity to no longer strive to approach God on our own merit – but instead to REST in His way of life and the holiness purchased by His shed blood. When speaking of “Resting” God isn’t telling us to become lazy – sit on the couch – and just enjoy life all in the name of a Sabbath Rest. What He is telling us is to serve Him – provide for our families – build and be a part of our communities – but do all of that OUT OF our relationship of love with Him. WE SERVE BECAUSE WE LOVE HIM AND HE US… NOT IN ORDER TO GAIN THAT LOVE! WE SERVE OUT OF LOVE – NOT DUTY! So step into your blood bought relationship with God – rest in the fact that you are valuable to Him – and then roll up your sleeves and find your place of serving Him as an expression of that love! In Chapter 19 of Leviticus – God gives these people of His a bunch of rules which, at first glance, appear disconnected and disjointed. In many ways these seem like a rehashing of the Ten Commandments given earlier (Exodus 20). It appears to be rules and suggestions for how to live life a different way. But then, as we continue reading into Chapter 20 – we see the tone shift a bit. We see the same strict warnings as Chapter 19 – but the punishment for breaking these “laws” is quite severe (being cut off from the people and in many cases put to death). Really? Is that what God is like? Break one law – step out of line a little bit – and you DIE? Well, hopefully by now we have seen that God has a bigger plan in mind. So, how does Lev 19-20 fit into the larger message of Leviticus as a whole – and the formation of God’s people? That answer is in God’s explanation at the end of Leviticus 20. Basically, God is telling these people of His that He has big plans for them. He needs them to be distinct from the nations who have lived before them (and have made choices that were not good). God is quite serious about not only His people being His treasured possession (Ex 19:5), but also that they are to be an example to the entire world of His love and His way of life. That is why He constantly implores them to ‘be holy because I, the Lord your God, am holy’. The word “holy” can be translated as “set apart, distinct, sacred”. That is the key to not only the Book of Leviticus, but to God’s overall heart throughout the entire scope of humanity. God, as the Creator of Life, is working to restore man back to Real Life. In order to do that – He needs a group of people to believe and obey His instructions – in order to build up a prototype (if you will) for the rest of the world to follow. This is serious business – hence the serious consequences of disobeying. Furthermore – it is important to understand that this is all an INVITATION from the Lord. Numerous times God informs these people of why He chose them, why He brought them out of Egypt, and why He is clearing the land of Canaan of it’s inhabitants and giving that land to the Israelites instead. According to God – both the Egyptians and the various nations in the land of Canaan had conducted themselves in such deplorable ways that He had no choice but to remove them and replace them with another. (Interesting that God says THE LAND vomited them out!). That is why, over and over again, God is inviting (almost pleading with) the Israelites to not take up the practices of the Egyptian culture they left behind – nor to adopt the culture of the people that were already living in Canaan – but instead adopt this new way of life which He is teaching them. God has big plans for these people – they are going to be His shining example of the Blessing in operation on not only an individual scale – but also a national scale. This will be the next step in fulfilling His promise to Abram – to bless the entire world through his seed (Gen 12:2-3). But in order to do that, they must make different choices. They must choose to obey and follow God’s way of life. They must choose to live as God in this land they are being brought into. God is LIFE – so they live as LIFE. God is LIGHT – so they walk in the LIGHT. God is LOVE – so they LOVE the unlovable. So as you continue to read through the rest of Leviticus – keep this main theme in mind. Don’t allow yourself to get caught up in the details of the various laws (trying to apply them to us today) – instead keep the main thing as the main thing. 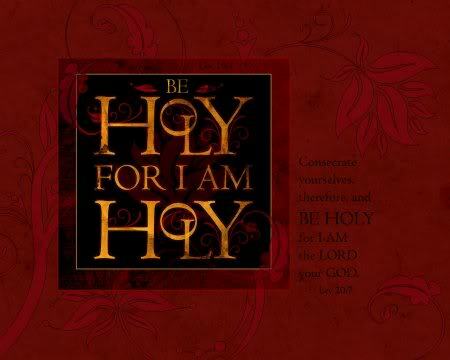 God’s people are called to be holy (set apart) – as He Himself is holy (set apart). If you have been reading along with me – a Chapter a Day – then you should have spent the past 15 days plowing your way through the Book of Leviticus. This is the area of the Bible where most Christians, after starting out with such high hopes and good intentions, start to wane in their commitment to make it through the entire Bible. The book is laced with customs and rituals that are strange to our ears – and quite frankly do not make much sense! Beyond that – the past 4 chapters have indeed been the strangest chapters in the entire Bible! Lev 12-15 deal with all sorts of disgusting situations and how they are to be dealt with by the Priests as they perform their duties before God in the midst of the Israelites. But – as with the rest of it – there ARE purposes even for these chapters (as I hope to make clear to you). First, what are the main topics of these 4 strange chapters? Lev 12 – deals with ritual purification after a woman’s monthly period or childbirth. Lev 13 – deals with the cleansing of infectious skin diseases. Lev 14 – deals with more details for skin diseases – and then discusses how to cleanse from mildews on clothing, tents, etc. Lev 15 – deals with bodily discharges and other unpleasant situations. The point of all of this is that there is something about God’s Presence that He cannot allow these various natural occurrences to come near Him. (These are not necessarily acts of sin – just things that happen to humans in nature). God wants His people to wait – allow the natural occurrence to heal, dissipate – and then wash themselves before returning to His presence. Well, look at what the four main points in the chapters all have in common. Women’s menstrual cycle and Man’s discharge (Lev 12 & 15) – Both are instruments of LIFE which have not followed their natural course – but instead these occurrences represent life unrealized! Infectious Skin Diseases (Lev 13) – Again, the skin is a living organism in our bodies. It regenerates completely every 35-45 days (we get new skin). It is a beautiful symbol of new LIFE. Yet these type of skin diseases represent the skin dying – life unrealized! Mildew on Garments (Lev 14) – As par the course – rot & mildew are all signs of death and the curse. They eventually will completely overcome and destroy the article. In all of these we see perfect symbols of something that WAS alive and life-giving… but is now reduced to wasted potential and destruction. But that is not how God is at all. The Bible is replete with statements about God being the Creator of LIFE! He brings life into dead situations – He doesn’t destroy, but brings overflowing LIFE (John 10:10). He even went as far as redeeming us from the Curse of Genesis 3. (Gal 3:13). God is not connected with death at all – He is LIFE! So He is setting up practical lessons to teach His people very early on this major principle. He is not a God of death – but LIFE. So they must not come before Him during signs of death… but wait… wash… and then return to Him with LIFE. Which brings up great questions for us all today. As followers of Jesus – we are made in the image of God – and our main purpose is to reflect this God throughout the entire world. A world of death and curse. But if we speak, listen to, associate with things that represent death, the curse, etc – then we are NOT reflecting the God of life at all. In fact – we are actually reflecting the OPPOSITE of Him. In Leviticus – God is teaching this newly formed nation of ex-slaves about Himself and what He is really like. The hope is that in generations to follow these people won’t stray into the ungodly habits of their neighbors – developing wrong perspectives about their God and what He represents. So in many ways – Leviticus is still pertains to us today. There have been many debates about what is meant by “strange fire”. Was it a timing issue? Did they come at it in the wrong heart? Maybe they offered the fire in the wrong spot? This can also be quite confusing to us from our perspective. What happened? Was God trigger happy here? Moses quickly gives us an explanation as to what is happening. He attributes this strange occurrence to the incredible holiness of God. (Lev 10:3-5). Holiness – “set apart, devoted, clean, no stain”. Honored – GLORY – “weightiness, heaviness”. What is happening here is that God is holy – and His immense Presence is not something to be trifled with. His holiness will be honored throughout the earth – and He cannot be mocked (Gal 6:7). God needs to ensure that these people – forming a new nation centered upon Himself – understand that sin is bad and He is GOOD. Furthermore – His Goodness is far and above our best offering (in our own strength) because of sin’s influence. Unfortunately – it took the example of Nadab and Abihu to get this point across. (Notice that Aaron never says a word… – Lev 10:3). Right after this tragic event – God speaks to Aaron for the very first time. He warns him not to tread lightly upon His Presence. (Understandable based on what had just happened). “You shall make a distinction and recognize a difference between the holy and the common or unholy, and between the clean and the unclean.” – Lev 10:10. God is helping Aaron (as the first Priest) to understand that there is a big difference between Himself and our perspective. It will do no good for the people, if we casually enter God’s Presence in a flippant or arrogant manner. Instead – be sure to always recognize the difference. This warning was not heeded by the Israelites. Generations later – the prophet Ezekiel delivers a stinging judgment from God in response to this exact issue. Notice what God says – “they have profaned My holy things”! 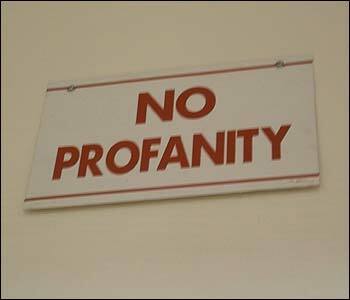 To PROFANE something is to mix what is set apart for God (Holy) into things that are meant for common use. In essence – to walk into God’s Temple and carry something over the threshold – into the common area – belittling it’s sacred intentions. In God’s eyes this is a huge issue… something we should avoid at all costs. Marriage – When we belittle this beautiful relationship – which was created to demonstrate God’s love for all of us – by cheapening it and using it in unnatural ways – we PROFANE it. Music – When we take this beautiful gift from God – designated to assist us in worshiping Him – and we instead use it to manipulate emotions and sing about “other” things – we cheapen it’s original purpose – we PROFANE it. These (and may other examples) demonstrate how all of us make the same mistakes of Nadab and Abihu. So… Leviticus Chapter 10 is about more then just ancient rituals and the sudden deaths of two teenage boys. It is about Profanity and how all of us relate. In the first 8 chapters of Leviticus we have been given instructions by God on how to “come near” to Him . These instructions involve blood, priests, animal sacrifices, substitutionary rituals. Basically – if you follow these instructions – then I will appear before you and you will see me! The first step is to gather all the people together. This is huge – because something amazing is going to happen and it won’t happen until everywhere is there to witness it. Scripture teaches this in other places as well – this gathering together. It seems that whenever all of God’s people gathered together in one place – He shows up and does amazing things! God is not impressed with ritualistic religion – but with obedience. Aaron doesn’t waiver one bit from what God told him to do. God loves obedience (1 John has a lot to say about this!). And finally – the people came expecting God to appear. They trusted that what He said – He will do! That sort of expectation always proves results! 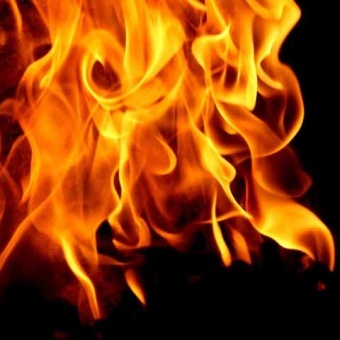 With these ingredients in place – the Lord shows up in FIRE! (Lev 9:23-24). 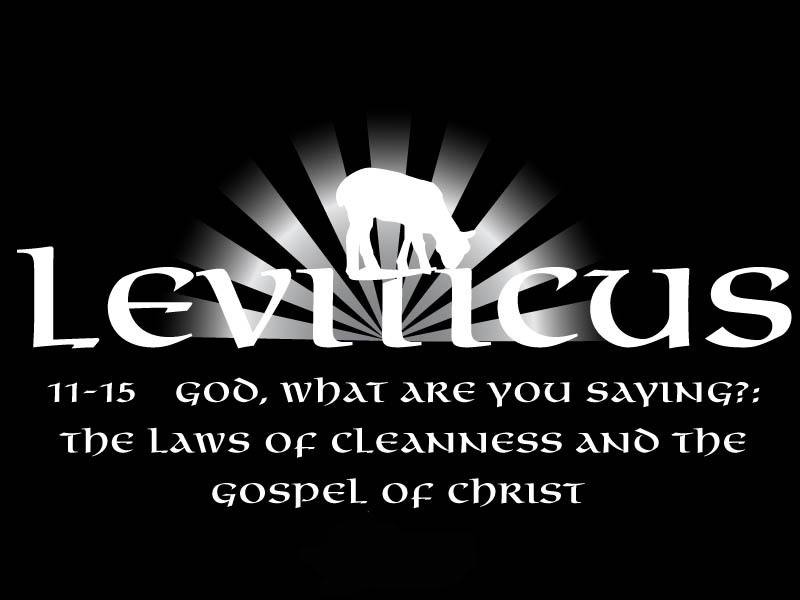 So – hopefully you are starting to get the picture of Leviticus. The real point of Leviticus is God appearing through all of this! THE REAL POINT OF LEVITICUS IS THE FIRE!!!!! – but until you see God show up – you have nothing! So – after all of the instructions God gave to Moses – in Lev 8 He tells him to call all the people together and consecrate Aaron and his son’s as the first priests. consecrate – “clean, set apart, reserve for God’s use”. This is basically the Opening Ceremony for the Priests. God wanted to ensure that ALL of the people were present – saw this – and paid attention to it. The priests are disrobed – washed – and then dressed in the sight of all the people! If Aaron’s job is to represent us to God – and if he is a man (just like us) – then we want him clean of sin before going to God on our behalf! BEFORE HE CAN HELP US GET RIGHT WITH GOD – HE MUST BE RIGHT WITH GOD! So he is washed with water – and then anointed with oil (a symbol of the Holy Spirit). Clean him… and then drench him with the anointing of the Holy Spirit. Then there is blood – and a weird ceremony involving Moses placing a dab of blood on Aaron’s right ear lobe – right thumb – and right toe. 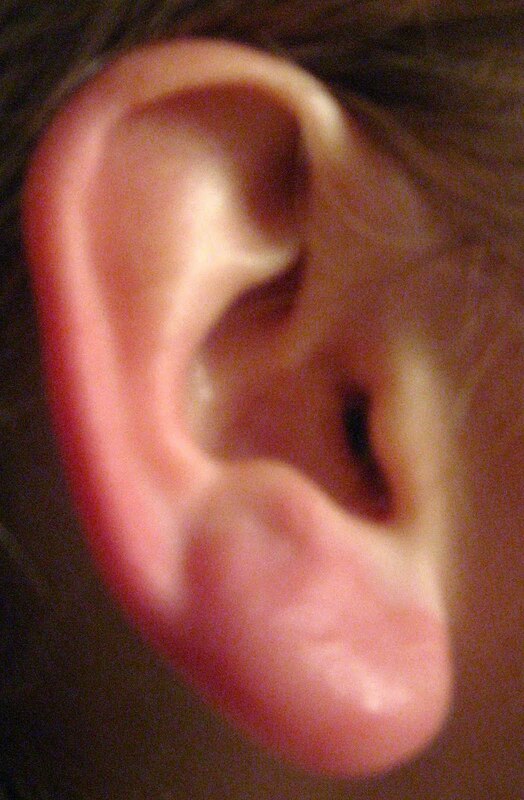 Right ear lobe – because he listens with his ears. So we only want him listening to God (otherwise how can we trust him to hear God for us)? Right thumb – because we work and serve with our hands. So we want those hands to be kept pure (otherwise how can he serve God on our behalf)? Right toe – because he is to be an example wherever he goes – as one who walks with God. 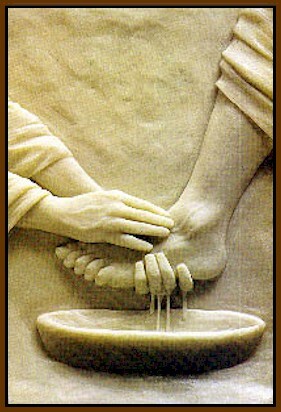 So we want his feet to only walk in pure places (otherwise how can he walk before God on our behalf)? So they are all consecrated – touched with blood – made clean. Now, as we saw earlier, the writer of Hebrews tells us that Jesus came and abolished the system of sacrifices we see being introduced here in Leviticus. He became the final sacrifice (once and for all) – forever ending the need to kill animals for the forgiveness of sin. He basically put the priests our of business. So what is an unemployed priest supposed to do? Today – YOU and I are the priests! YOU and I are to represent God to the world. YOU and I are to be the example in what we listen to… what we do… and where we walk.